The Lok Sabha elections for 91 seats in 20 states and Union Territories will take place on April 11. New Delhi: In a few hours, voting for the first phase of Lok Sabha polls will take place. A total of 91 constituencies in 20 states will go to polls on April 11. Voters in Lok Sabha constituencies going to polls in the first phase will get a paid holiday to cast their vote. Delhi’s Chief Electoral Officer (CEO) Ranbir Singh said voters residing in Saharanpur, Shamli, Muzaffarnagar, Bijnaur, Meerut, Baghpat, Ghaziabad, Hapur, Gautambudh Nagar and Bulandshahar will get a paid holiday on April 11. The results of the general elections will be declared on May 23. No. of Seats in Respective States Andhra Pradesh (25), Arunachal Pradesh (2), Mizoram (1), Nagaland (1), Sikkim (1), Telangana (17), Uttarakhand (5), Meghalaya (2), Andaman & Nicobar Islands (1), Manipur (1), Tripura (1), Assam (5), Chhattisgarh (1), Maharashtra (7), Odisha (4), Jammu and Kashmir (2), Bihar (4), Uttar Pradesh (8) and West Bengal (2). 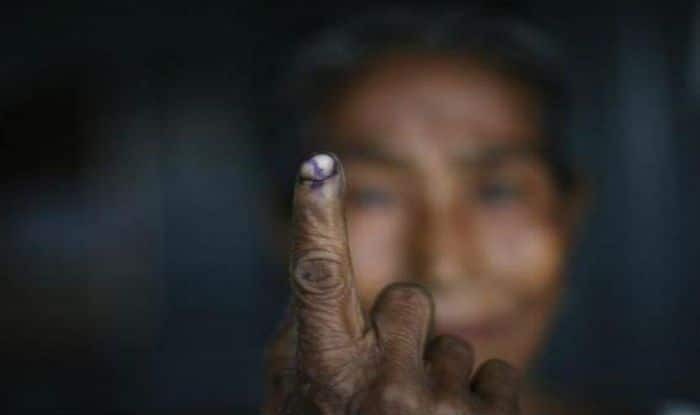 At least 83 companies of the central force, besides an adequate number of state forces, are in order to ensure a free, fair and peaceful poll in Cooch Behar and Alipurduar constituencies. Besides general election observers and expenditure observers, a special police observer has also been deployed by the poll panel for the first time. In another first, VVPAT will be used in all polling booths along with the EVMs. Although heavy security will be in place for all the 91 seats, Cooch Behar and Alipurduar in Bengal, Baramulla in Jammu and Kashmir and Naxal-affected Bastar Lok Sabha constituency in Chhattisgarh will see stringent security. In Baramulla, extra barricades and nakas have been erected at several places. In fact, along national highway, vehicles are being checked before entering in the North Kashmir districts. Almost 80,000 personnel have been deployed in the Naxal-hit Bastar region for the first phase polling. Drones have also been positioned as part of the security arrangements. Over 50,000 personnel from state and central forces had been already stationed in the region to counter the Maoists. 200 companies of paramilitary forces like the CRPF and the Border Security Force have also been deployed.